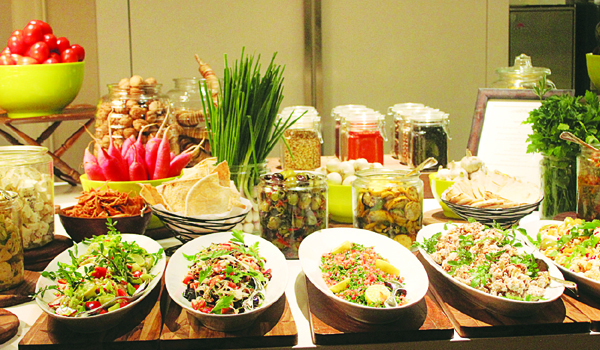 It was a lunch that triggered the idea for the countrya��s first Diabetic Food Trail. 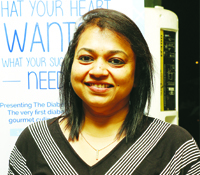 Seema Pinto, the director of Semora Entertainment Works (a marketing solutions company) and a diabetic for 10 years, had a meeting in town, when she realised there was nowhere she could eat. a�?Ia��ve noticed over the years that there are hardly any restaurants that offer a truly healthy meal. On that day it just hit me that I had to do something about it,a�? says the Mumbaikar. She teamed up with Britannia NutriChoice, Zomato and Biocon, the countrya��s largest biopharmaceutical company, to start an initiative that she hopes will soon become a movement. With over 120 hotels and restaurants participating in this four-city trail that kicks off tomorrow (World Diabetes Day), Chennai will have names like Barbeque Nation, Teppan, Jonaha��s Bistro and Park Hyatt participating. a�?The chefs have worked in conjunction with our nutritionist, Dr Geeta GH from Bengaluru, to create special menus that are low on carbs and sugar, and high on fibre and taste,a�? she adds. All the menus will have detailed nutritional information, including calories and the kind of carbohydrates present, while specially designed place mats will give diners trivia on how to manage their dieta��from portion control to plating their food. Expect dishes like a broccoli and fennel velvet soup at Novotel Chennai, Pad Kee Mao (drunken noodles) at Benjarong, fish with capers and aubergine mash at Teppan, among others. With WHO projecting that India will have 80 million diabetics by 2030, Pinto feels the time is ripe. a�?This will be an annual event and next year we plan to take it to more than 10 cities and over 200 restaurants. A positive sign is that many restaurants are looking at doing a similar menu even after the food trail ends,a�? she concludes.